« Bigfoot in Northeast Ohio? I think the term jackal should only apply to Canis aureus, as it is for this species that the name was invented in the first place. As for the other two species, why not use an indigenous name? I’m sick of canid species being named after others, with the addition of some paultry adjective. Nothing in the Old World should ever be called “Coyote” or any variation on “Coyote”. The similarity between these canids is a matter of convergence; they are not related. People who get into this kind of naming usually know they are referring to niches but others come along and think the animals are actually related. Except that golden jackals and coyotes are sister taxa. They represent the older “wolf” lineages than the modern wolf and dog species. You could go further . . . jackal, dog, wolf, and fox are all meaningless terms. But then, so, too, are “oak”, “gum (in the sense of Eucalyptus)” and “ironwood (which seems to refer to a different species everywhere you go)”. It will be interesting to see what the classification looks like after the second and third drafts. My guess is the DNA analysis will undergo a few revisions and some of the lineages will change as genetic data accumulates and assumptions in the classification algorithm are challenged and changed. The interaction between venacular, Linnean, and DNA-based categories will provide interesting reading in the next few decades. p.s. I think humor and surprise are more appropriate than judgement, given the present rapidly changing scientific basis of classification. I can only appreciate the fox dimension of these controversies based on personal experience. It was surprising to find that the genetic gulf between the ‘grey’ and ‘red’ ‘foxes’ is as wide as it is. Similarities brought on by convergent evolution may not show in DNA . . . but they are still similarities. Gray foxes shouldn’t even be called foxes. 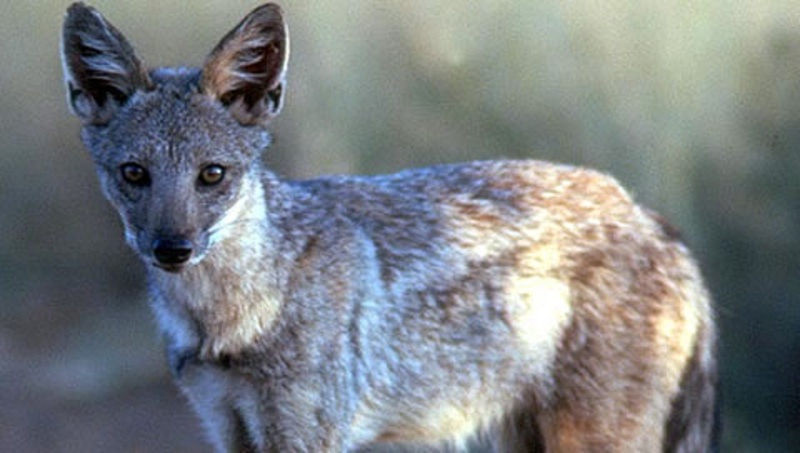 And their name is so banal that people mix them up with all sorts of unrelated canids, including the chilla, which sometimes called the South American gray fox. A name that does not help, because Urocyon is found in South America, too! Of course no South American wild dog is a fox either. They just sometimes get called that. At least metaphorically “Old World Coyote” works for me– or “American jackal” for yotie if we leave out the outlying two species or rename them. More seriously, naming isn’t the issue if we understand the lines of descent. Observation: A certain amount of intuition is useful here almost as much as cladistic analysis. Cuon (dhole) has always seemed very “Canis” to me despite– possibly superficial– differences. The only reason why Lycaon and Cuon are in separate genera is because they have trenchant heel dentition, a trait they share with the bush dog of South America. At one time, they were all classified together, but now we know that bush dogs are related to maned wolves and not anything like a dhole. (They are kind of like basset dholes, though).